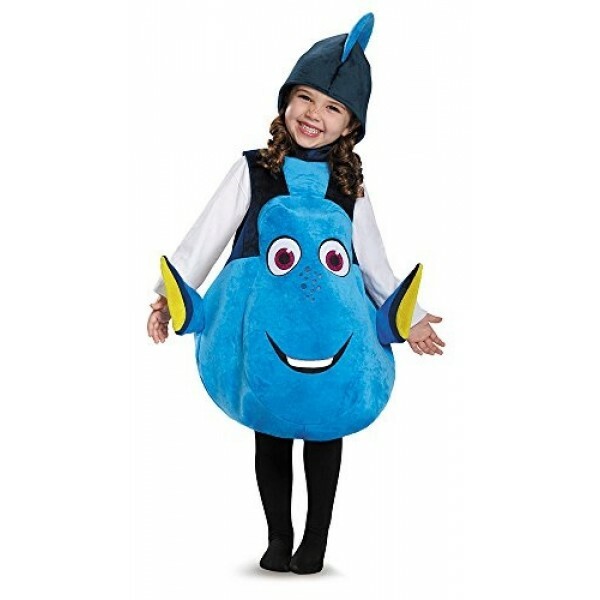 Just keep swimming in this deluxe Dory costume set! 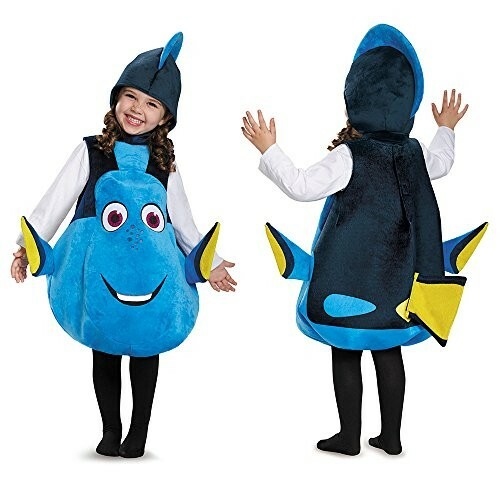 Everyone's favorite fish is the perfect costume for this Halloween or for day to day dress-up play. This set includes a 3D plush pullover with a detachable tail and a fin headpiece. 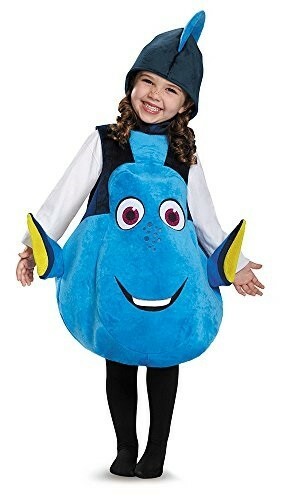 This costume comes in one size that will fit most children sizes 2 to 6. For more fun and empowering dress-up options, visit our Costumes / Dress - Up Collection.